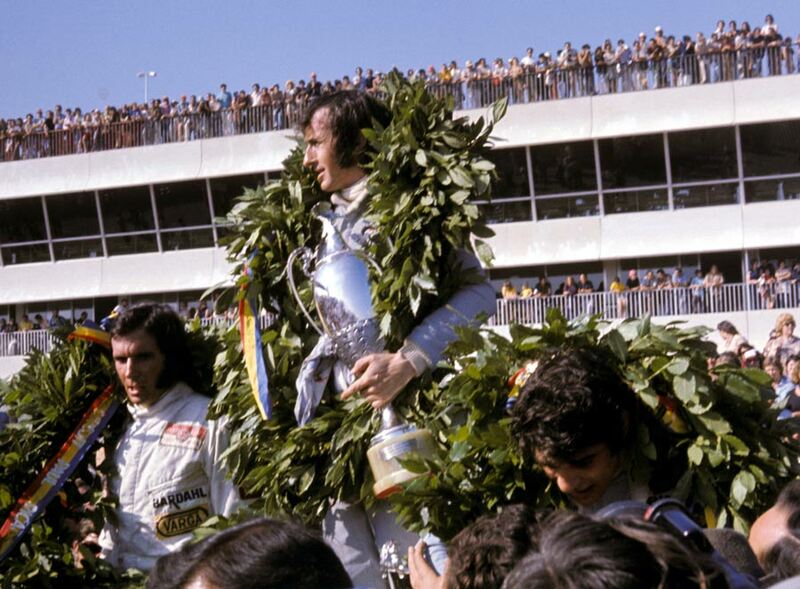 Jackie Stewart won the French Grand Prix in shimmering heat at the new Paul Ricard circuit near Marseilles in an almost faultless drive, extending his lead in the drivers' championship as no other rival in the top six gained a point. Stewart was suffering from a throat infection but was unable to take antibiotics as they made him dizzy. He then had a lucky escape during practice when his Tyrrell ended up in catch fencing, but both driver and car were unharmed. Shortly beforehand, Stewart had praised the new circuit as a shining example of how tracks should be constructed in the future and with safety in mind. He recovered to take pole from the Ferraris of Jacky Ickx and Clay Regazzoni. McLaren, meanwhile, were late arrivals after their transporter broke down and local French mechanics refused to work overtime to repair it. Ickx, second to Stewart in the championship, was clearly in trouble from the off and after limping round for four laps his engine expired. Regazzoni gave chase while the BRMs of Pedro Rodriguez and Jean-Pierre Beltoise battled for third. Rodriguez held the upper hand until his ignition failed on lap 28 and he retired. Drama was created when Ronnie Peterson's Alfa Romeo engine in his March detonated, spewing oil on to the circuit, with Regazzoni and Hill going off the track when their cars hit the resulting slick. Through the chaos emerged Francois Cevert to secure a one-two for Ken Tyrrell's eponymous team. Third was Emerson Fittipaldi in his comeback race after his road accident in France and his was a gutsy drive to score four valuable points. "It was my easiest victory", said Stewart. "There was nothing for me to do but point the car in the right direction."